The Ultimate One Enterprise is a Malaysia owned company that specializes in the design, manufacture, and supply of video surveillance systems. These systems are designed to suit individual customer requirements such as your own. 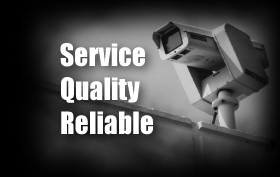 As a surveillance company we understand the special security needs of our customers and strive to provide them with the highest quality products and services to suit these needs. we believe in offering the advanced solution in monitoring the access of certain protected building or areas within building without putting up with the consistent hassle of traditional lock and key mechanism. This provision is effective in maintaining time and attendance systems at offices etc. The range of surveillance equipment is the best security system available in the market and is offered at competitive rates.